Before the compass was used in Europe to determine direction, Scandinavian sea-farers used a "sun stone" to locate the sun, from which they could estimate directions. It is not known with certainty what the "sun stone was but some have suggested it was the mineral cordierite or iolite. This mineral changes color when it points toward the sun. Even after the magnetic compass was introduced in the 12th century, navigators in the northern seas, where it was inaccurate, continued to use the sun-stone. The lodestone was an early tool for determining direction. A lodestone is a kind of iron ore called magnetite. Certain pieces of magnetite possess the quality of pointing to the earth's north magnetic pole. To begin with the lodestone was simply floated or suspended, and its attraction observed. 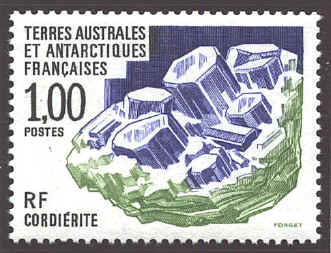 The stamp below shows a lodestone storage box. The first mention of the directional compass (as opposed to magnets themselves) occurs in Alexander Neckam's De Naturis Rerum (On the Natures of Things), probably written in Paris in 1190. By about 1218 Jacques de Vitry considered the compass as a necessity for maritime navigation. By 1225 it was in use in Iceland. The mariner's compass was in general used by navigators by the beginning of the 13th century. The last examples are special purpose compasses. 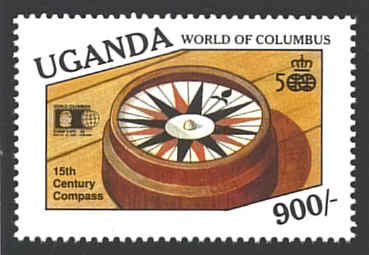 The prismatic compass was invented by Charles Schmalcalder in the 19th century. 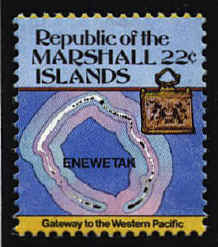 It is usually a small instrument which is held in the hand, The zero of the graduations coincides with the south point of the needle and run clockwise from the south end of the needle (0º to 360º), The prismatic attachment consists of a 45º reflecting prism which enables the user to see both the observation target and the graduations. Unlike a compass where the magnetic needle is placed horizontally to measure the direction of magnetic north, the dip circle measures the angle of the lines of magnetic force entering the earth's surface, the angle between the horizon and source of the earth's magnetic field. 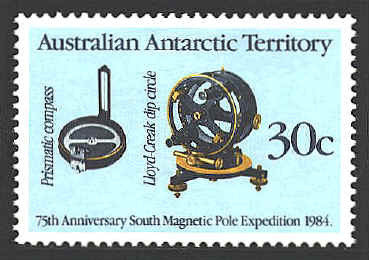 It is used to determine the location of the magnetic pole. In October 1698 Edmond Halley began the first of two voyages to gather information on the "deflection of the Magnetical Needle from the true meridian." He completed his second voyage in September 1700. In 1701 he published a map showing his findings. He described his map as follows: "What is here properly new are the curve lines," that is, the lines connecting points with the same divergence of the compass needle from astronomical north. 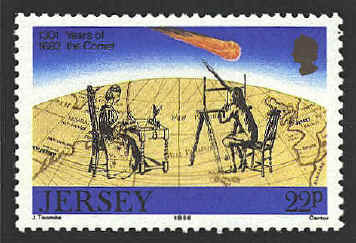 On a stamp issued by the Bailiwick of Jersey in 1986 in commemoration of the return of Halley's comet, a map adapted from Halley's map serves as the background. Norman J. W. Thrower, "To Make Observations on the Magneticall Needle: The Atlantic Voyages of Edmond Halley and His Charts," Mercator's World January/February 2000, pp. 48-52.